There is a belief that great warriors never die but live forever with their bravery and by their great deeds to the kingdom. Such was the valour of the great Vikings and hence their god Odin created the hall of Valhalla. A place for the souls of people who died in battles. In this jackpot casino game, there are five reels and ten paylines that are active all the time. The background is a beautiful vast field looking red to the reflection of the bright orange sunset. The game also offers six different spin levels you can choose from. Each with a different set of bonus features and betting limits. The betting starts with a minimum of £0.10 and can go up to £2000 per spin. This breathtaking slot jackpot casino slot game was developed by Betdigital (NYX), an innovative online casino solutions provider. There are many popular slots and other categories of casino games by this developer. The symbols of this jackpot casino slot are a sailboat, blow horn, axe, shield and a Viking helmet. The boat pays the top stake of 2500 upon five of its landing across a payline. There are card symbols from 10 to the A that are low-value symbols of the slot. These symbols offer colourful visuals along with wonderful animation when they make a winning combination. All these symbols pay you both the sides from left-right and right-left on the reels. The bonus symbol in this game is a beautiful Viking woman with a furious look on her face. Expanding Wild: The furious lady is the wild symbol of this jackpot casino slot and it substitutes all the others in the game. When it appears in a winning combination, the wild expands to cover the reels. So you can get more out of the wild in this slot. Multiplier Levels: There are six levels in this game and each offers a different number of multipliers and respins. The default is set to level 1 and there is nothing much to win here. From Level-2 to Level-6 multipliers of 2x, 4x, 8x and 10x are offered. 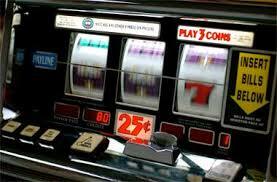 Levels three to six also gives you free spins of 1, 2, 3 and 4 respectively too. These levels are activated when the wild symbol appears in a winning combination. The expanded wild remains sticky until the end of all free spins. In this jackpot casino game you can enjoy its stunning graphics and animation along with great bonuses. The ability to choose from different spin levels offer brighter winning chances.